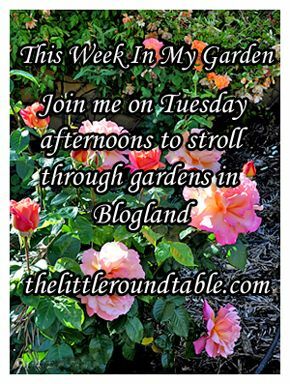 Beginning May 10, 2011 you are invited to join me each Tuesday afternoon to stroll through the gardens of Blogland. 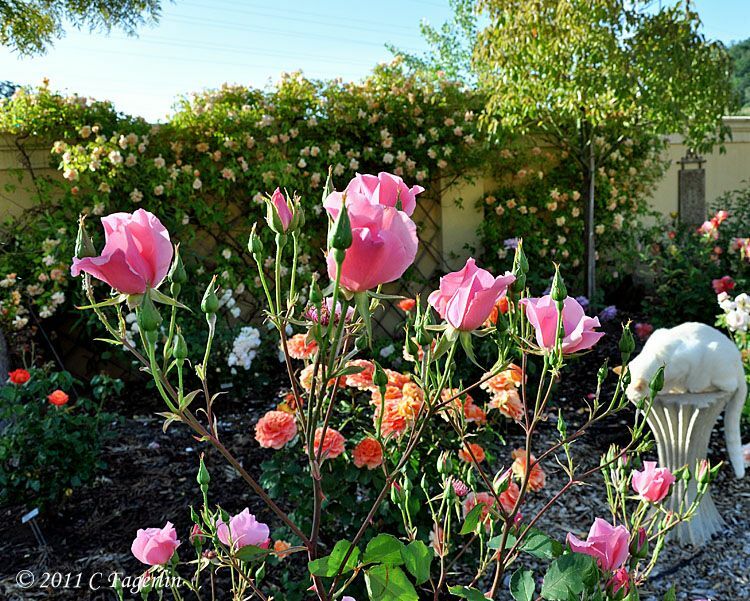 Show us a single image or three or twenty or write about your garden tips or experiences. into a rainbow of colors. This series of images was taken just after dawn. 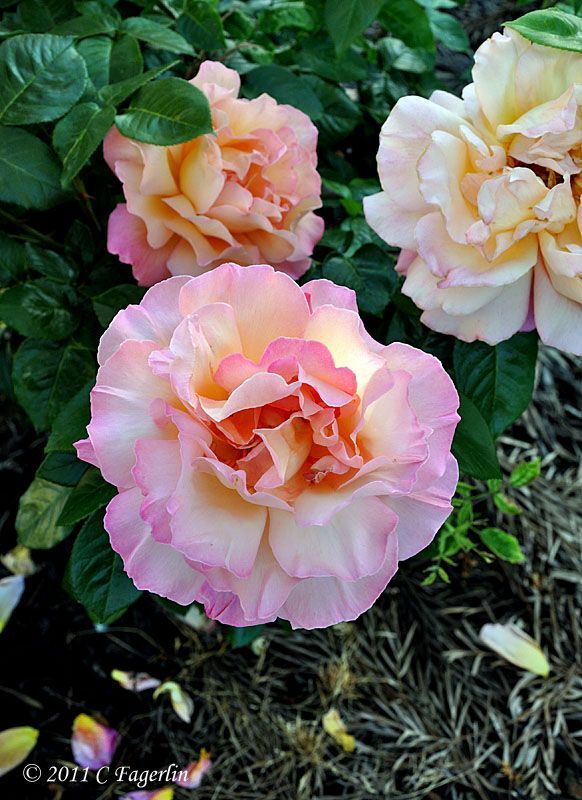 Hybrid Tea. Light pink, salmon-pink shading. Reddish yellow stamens. Mild, spice fragrance. 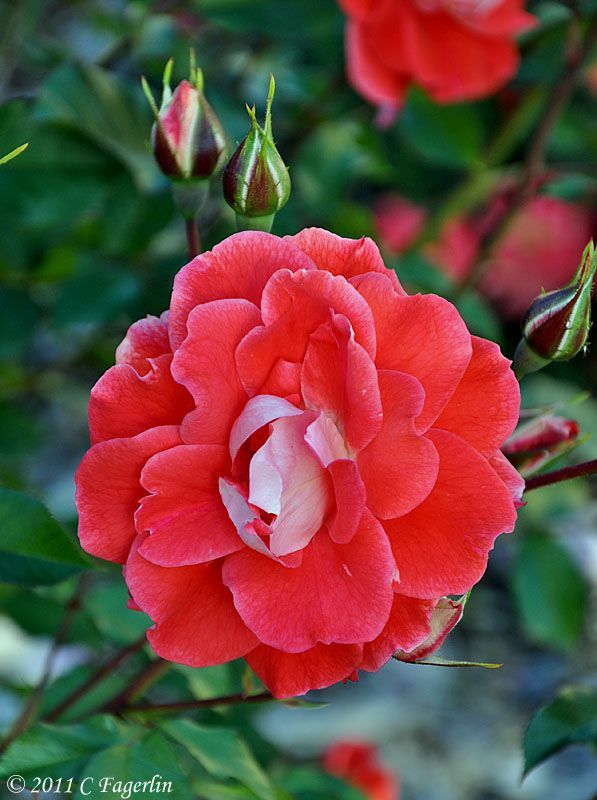 Medium to large, single (4-8 petals), in small clusters, cupped-to-flat, ruffled bloom form. Blooms in flushes throughout the season. USDA zone 4b through 9b. Height of 2' to 5' (60 to 150 cm). Width of 2' to 4' (60 to 120 cm). Wm. E.B. Archer & Daughter (1925). Light yellow Hybrid Bracteata. Discovered by Mrs. Buss (United States, 1950). Strong fragrance. Single (4-8 petals) bloom form. Blooms in flushes throughout the season. Height of 2' to 3' (60 to 90 cm). Width of 4' (120 cm). USDA zone 7b through 10b. Can be used for ground cover. Sport of The Mermaid. In his 2001/2002 Catalog, Peter Beales says 'Baby Mermaid' was brought to the UK from America by Peter Beales. on my blog Happenstance Garden II . Start at the oldest post to read about how it evolved. 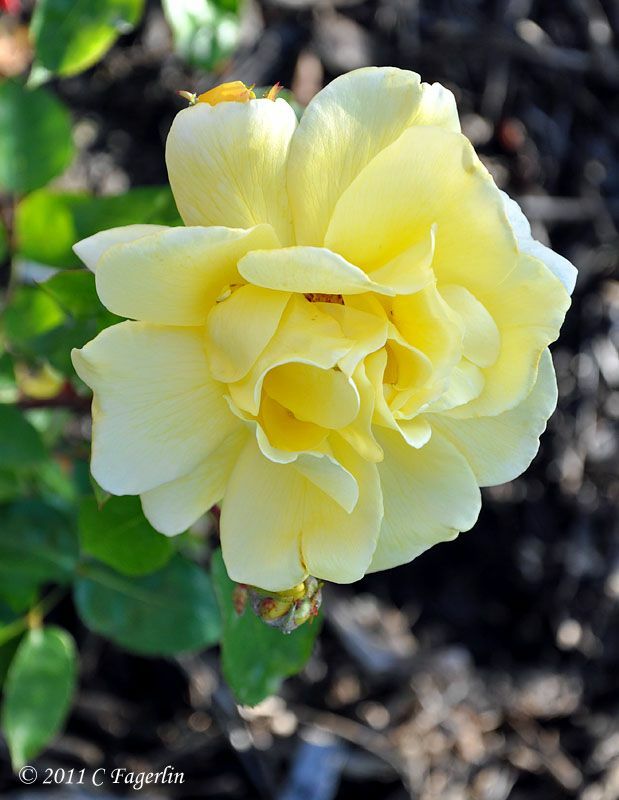 Hybrid Tea. Pink blend. Mild fragrance. Large, very double bloom form. Blooms in flushes throughout the season. USDA zone 7b and warmer. Height of 4½' to 6' 7" (135 to 200 cm). Stanley C. Johnston (1962). 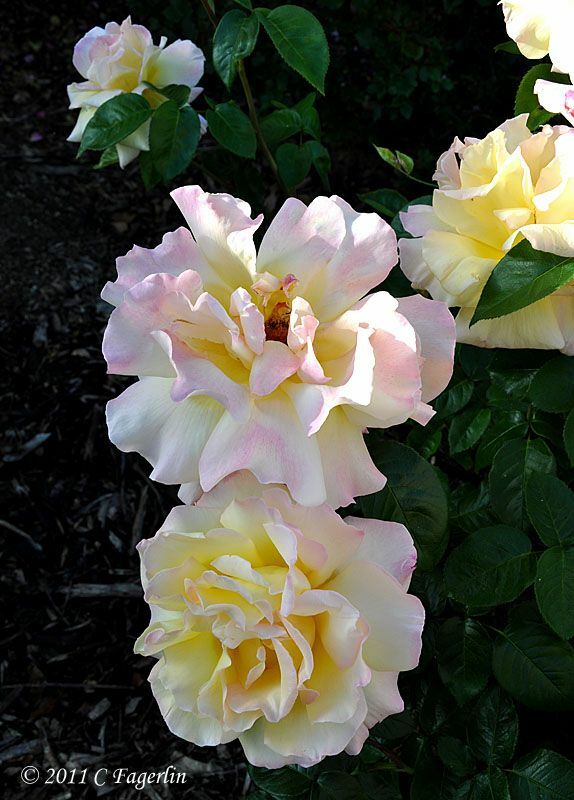 Hybrid Tea. Yellow blend, pink edges. Mild to strong fragrance. Very large, full (26-40 petals), cupped, high-centered bloom form. Blooms in flushes throughout the season. USDA zone 5b and warmer. Height of 4' to 6½' (120 to 200 cm). Width of up to 3' (up to 90 cm). Francis Meilland (1939). 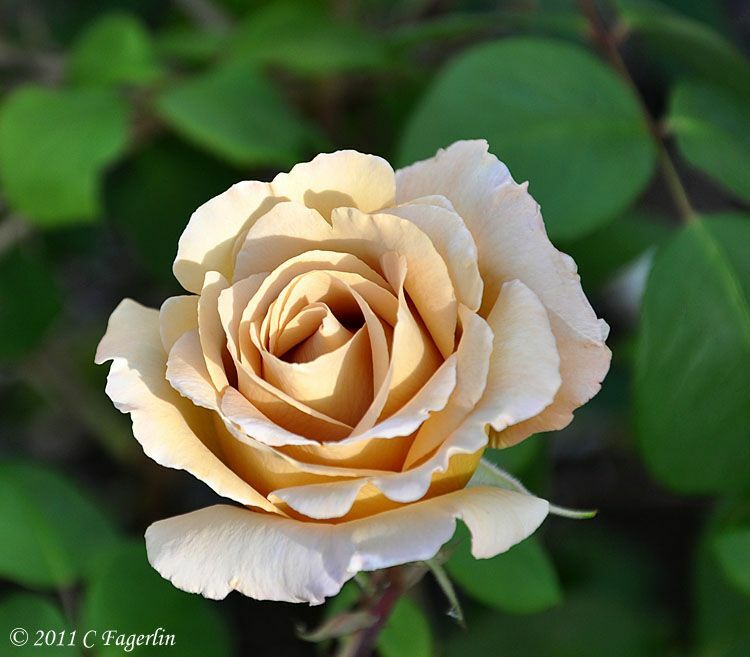 Floribunda. Red blend. Mild fragrance. 30 petals. Average diameter 3.5". Blooms in flushes throughout the season. Height of 30" to 3' (75 to 90 cm). Width of up to 2' (up to 60 cm). USDA zone 6b and warmer. Very disease resistant. Bred by Samuel Darragh McGredy IV (1974). 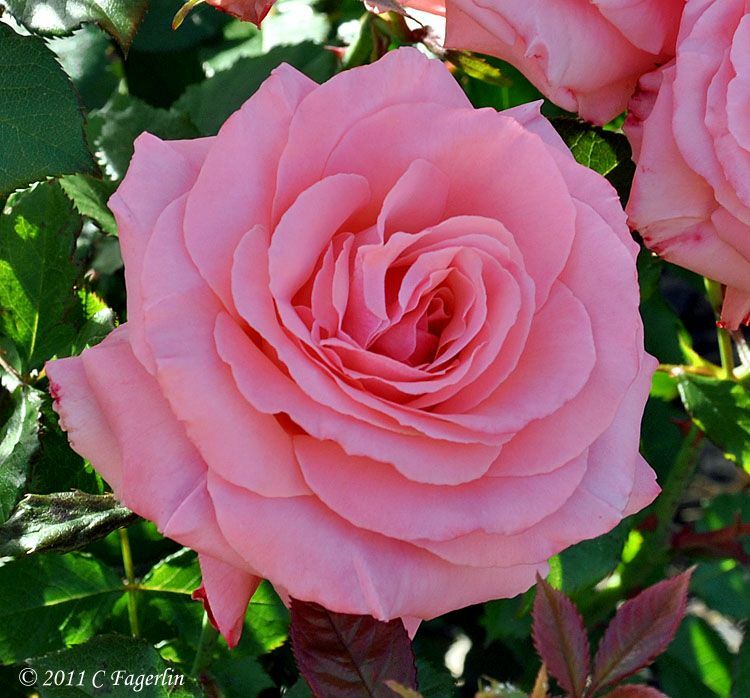 Introduced in New Zealand by McGredy Roses International (New Zealand) as 'Matangi'. 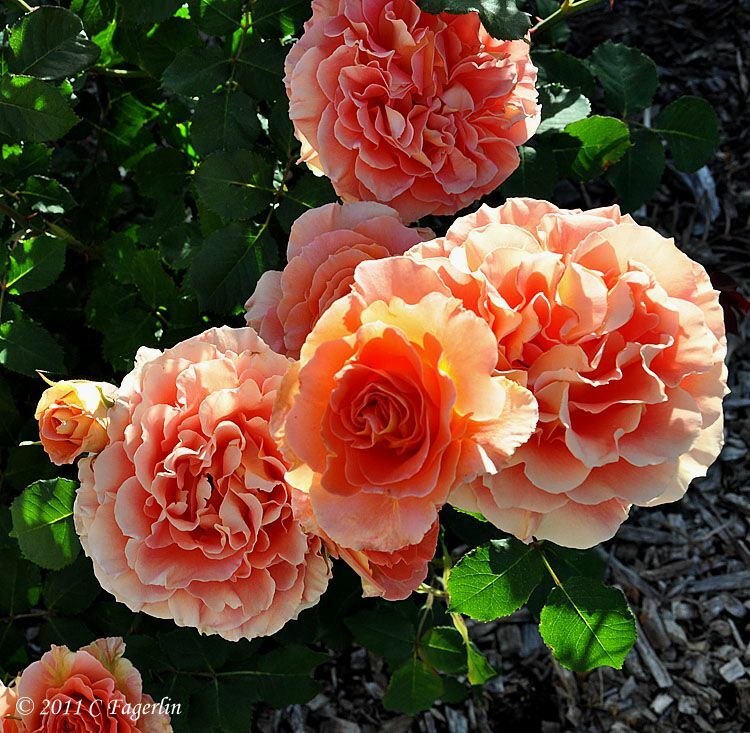 Floribunda. Orange-pink. Mild, sweet fragrance. 26 to 40 petals. Average diameter 3.75". 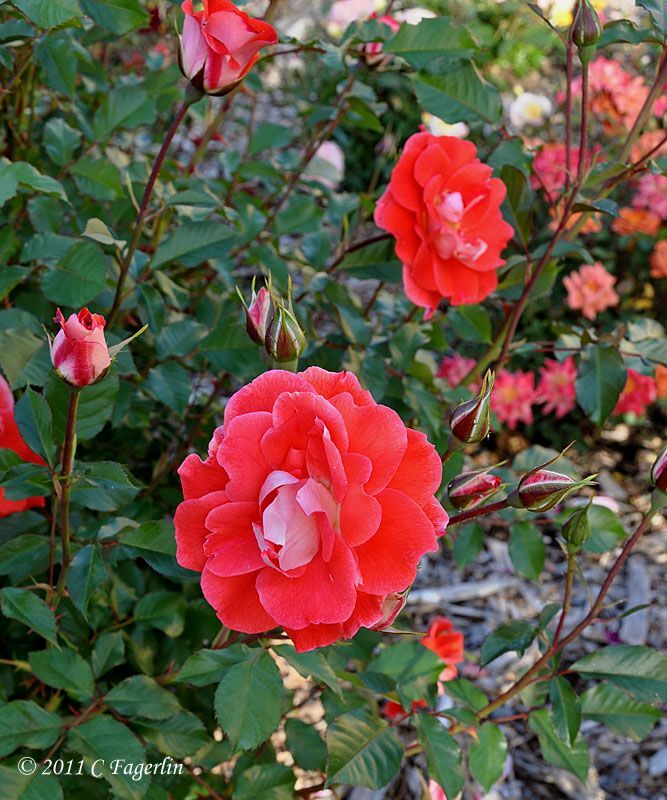 Large, full (26-40 petals), cluster-flowered, in large clusters, ruffled bloom form. Blooms in flushes throughout the season. Pointed, ovoid buds. Medium, compact. Medium, semi-glossy, dark green foliage. Height of 3' (90 cm). USDA zone 6b and warmer. Floribunda / Cluster Flowered. Romantica ™. Pink and yellow. Mild, apple fragrance. Large, full (26-40 petals), old-fashioned bloom form. Blooms in flushes throughout the season. USDA zone 6b and warmer. Height of 20" to 5' (50 to 150 cm). Alain Meilland (1994). Floribunda. Apricot or apricot blend. Mild, damask fragrance. Average diameter 2.75". Large, full (26-40 petals) bloom form. Blooms in flushes throughout the season. Height of 3' to 39" (90 to 100 cm). USDA zone 6b and warmer. week, including 'Graham Thomas', 'Julia Child', 'Samaritan', and 'Old Master'. Enter a permalink to your specific post, not your general blog URL. Advanced linking options requiring that both of these rules be followed will be in place. If you have ANY problems with this new feature from inlinkz, please just let me know. Hi Candy, your roses are stunning. They are so healthy. Thank you for including growing zones. What zone do you live in? I live in zone 3 to 4 and most of my roses winter kill each year... butI keep trying. 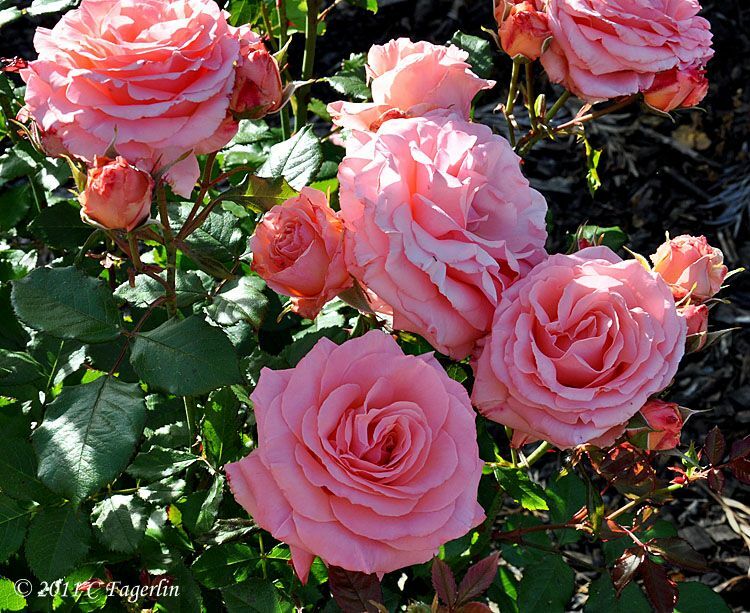 Your roses are absolutely gorgeous! Beautiful roses, Candy! I'm glad I can enjoy yours while I wait for mine to bloom. I can just see the new buds now. Thanks for hosting the garden party! Oh my! Your shots are gorgeous! Candy, Love that "Brass Band" rose! 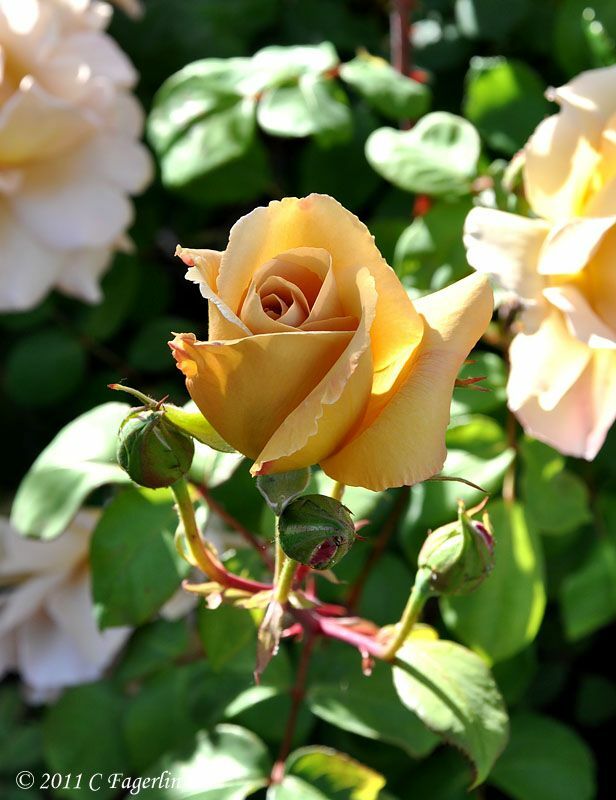 Your photos are stunning and what do you feed the roses? Or is that a trade secret? LOL Georgia heat and humidity is tough on roses. Candy, that Butterscotch I have to find! They are all awesome tho. What fabulous pictures you captured of them. TY for sharing ... so enjoyed. My Cecile Brunner bloomed on Mother's Day for the first time ... I was thrilled. 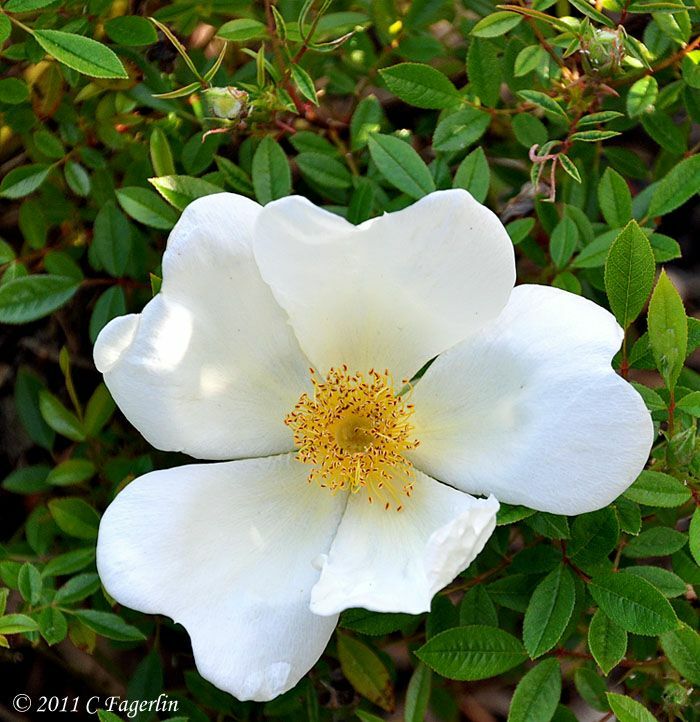 Beautiful blooms and your photographs are amazing! 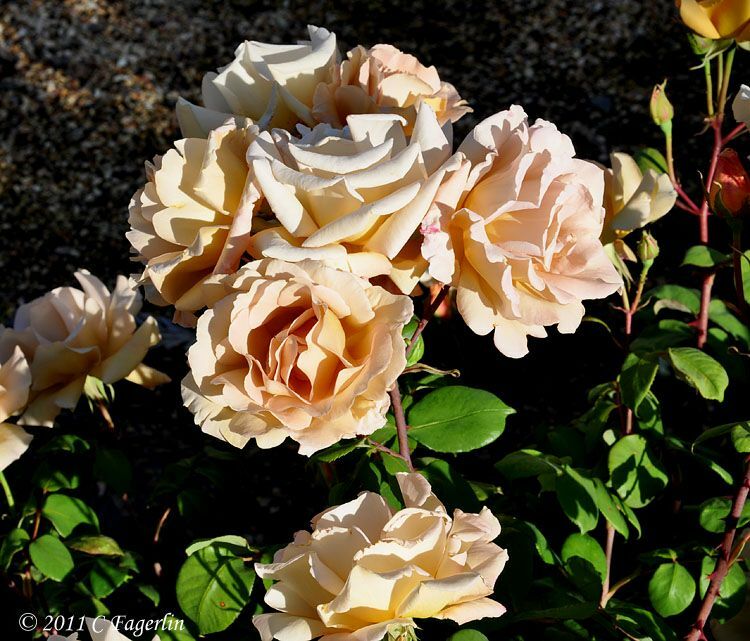 What beautiful roses! I have a Butterscotch and it is lovely but it wants to take over the whole garden...is yours that way too? Thank you for hosting this new party, it is going to be fun. Thanks so much for stopping by for the garden party and for all your lovely comments! Gina - Depending on Mother Nature's mood during any given year, I am in 9b/10a. We had lots of cold and rain this past winter, which ended a 5 year drought period. Some of the plants were not happy with the soggy wet winter and are still in recovery mode. Barbara - Please do join in! Container gardening can be so rewarding and poses its own set of challenges. I do hardly any container gardening here at the new garden because it is really HOT HOT HOT and too hard to keep up with the watering. Babs - I care for my roses with only one concoction. Bayer's ALL IN ONE. Not any of their other mixtures or products, just the ALL IN ONE. Comes in a blue plastic bottle, runs $15-$20 a bottle, does 32 roses and only needs to be done every 6-8 weeks. None of that constant spraying and powdering and watching for one bug or disease. 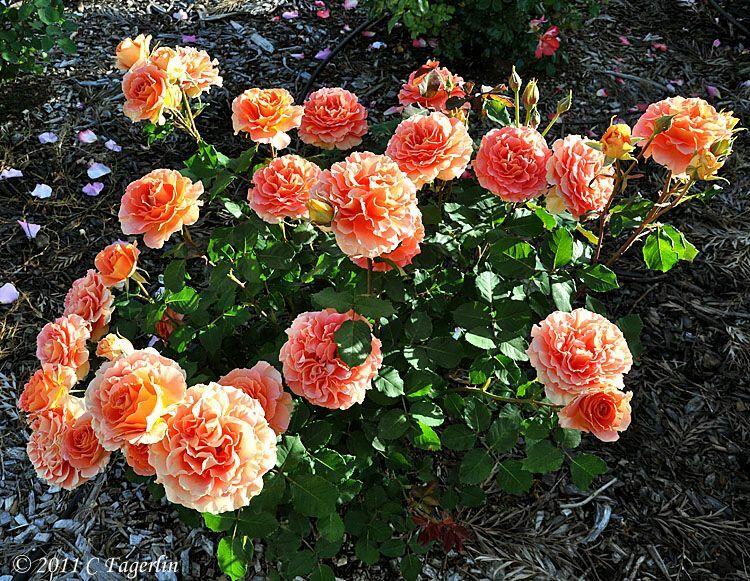 It is a fabulous product and I find that even if I miss an application during a season or stretch the time between applications, the roses still do great! I missed last fall's application, made sure I did the early Spring application and you can see the results. We do have the heat, but not the humidity that you have to deal with in the south. Try it, I've used it for about 5 years and haven't touched any of those other expensive one problem dusts and sprays since! 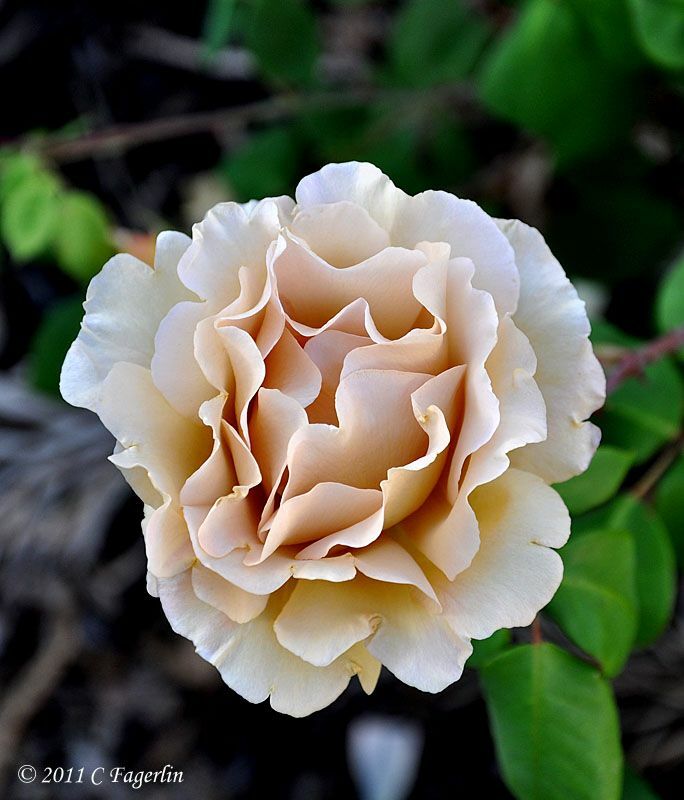 La Vie - 'Butterscotch' can be a garden bully, but I keep mine in check and treat it more like a shrub. I think it also forces it to put out bigger blooms in greater numbers. I also cut down all my roses each January, otherwise they would take over the world in just a season here in California. Any images of my 'Iceberg' climbers this year is all new growth. After 4 growing seasons, they were becoming monsters with lots of blooms way up high where I couldn't see them. WIND is also a problem here with climbers, even when they are secured well, another reason to keep the climbers in bounds. 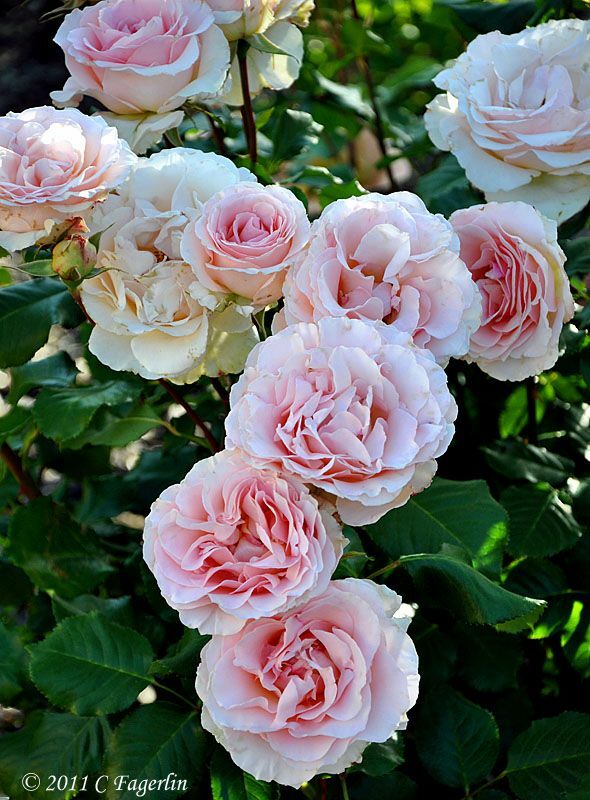 If you purchase only one new rose ..... 'Brass Band' is just so glorious. In a class by itself. 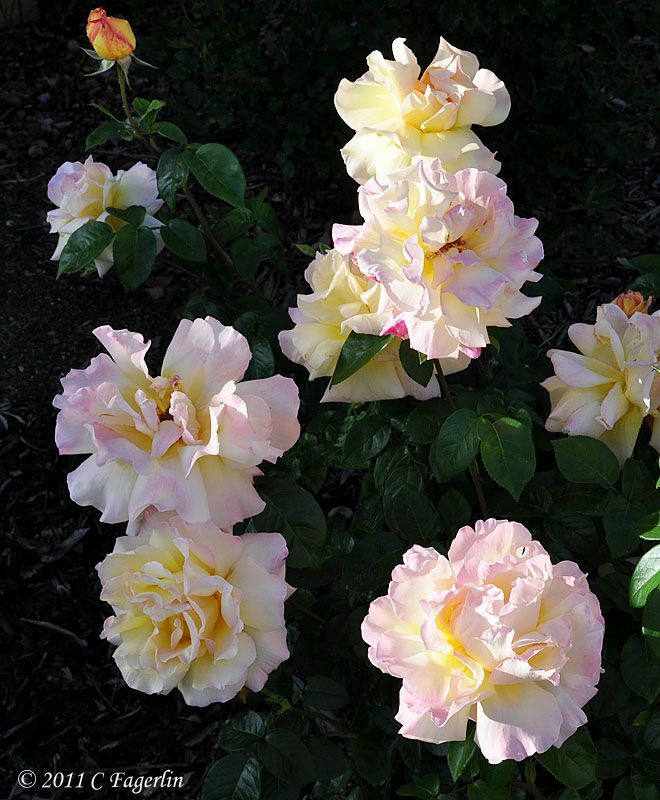 I've grown a lot of roses in the last 6 decades and it is truly something special. Thanks again to all of you for coming to the garden party! Holy smokes...I think I will call you Queen of the Roses. What a lovely, simply lovely blog. I love it! See you next week. Big wow! What a great collection. 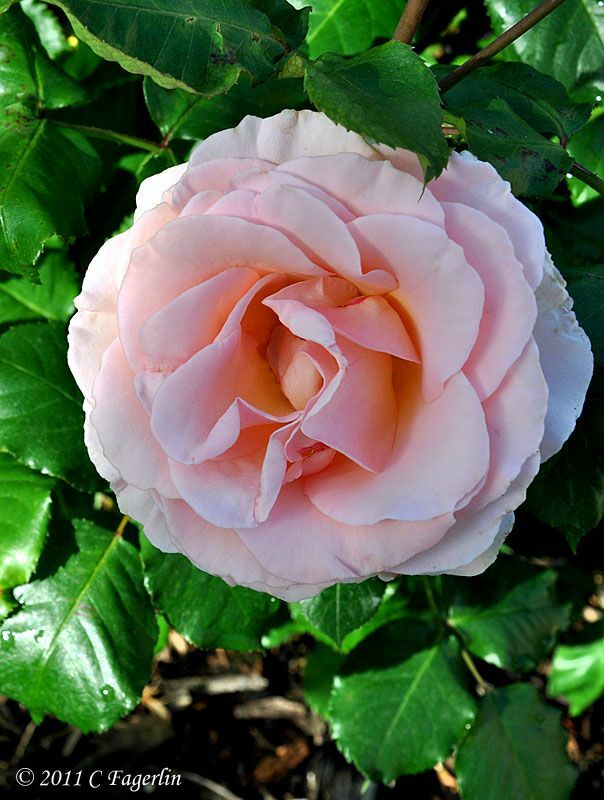 Last year I put in a Grandiflora Rose called Queen Elizabeth (introduced 1954). 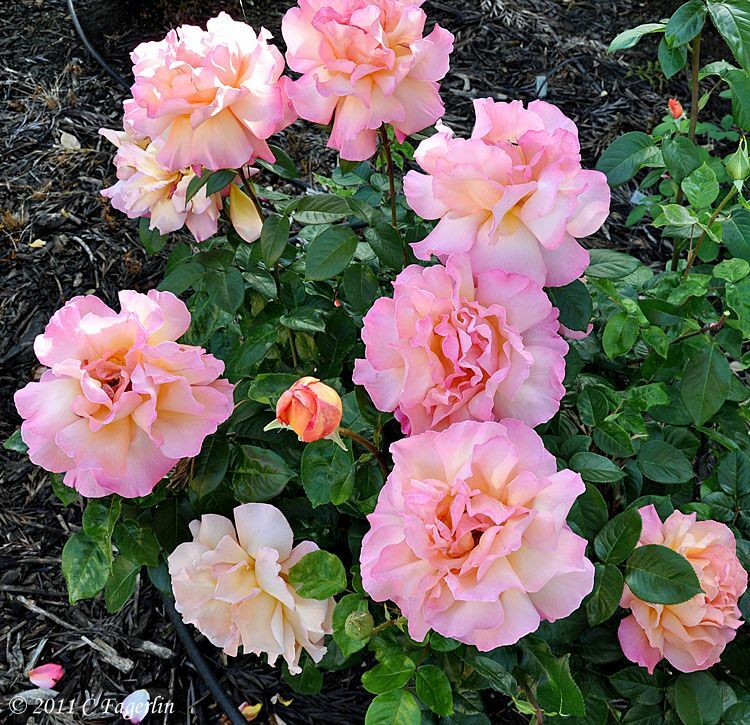 I'm hoping it came back nicely for me and will produce beautiful roses again this year. I'm intrigued with your choices! 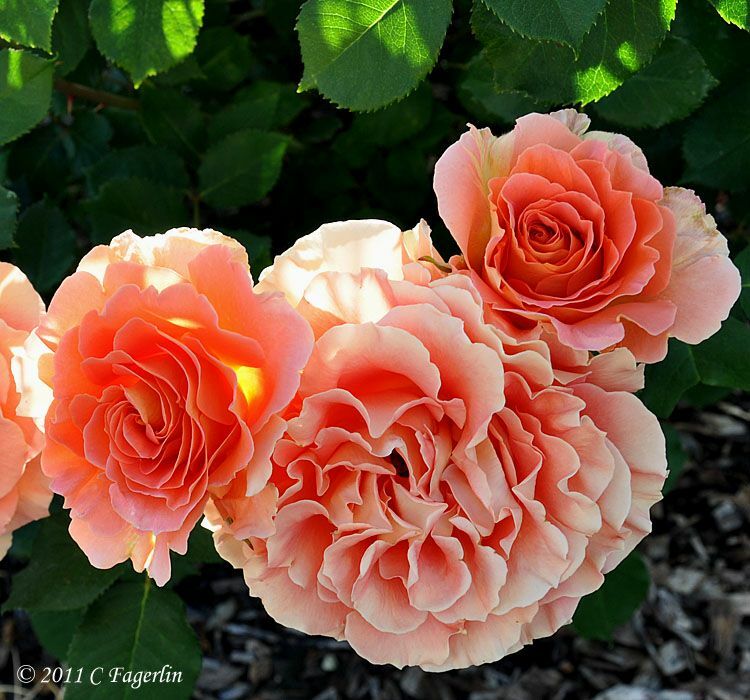 Your Floribundas are fabulous! Your roses are incredible. I am not much of a gardener really, but I do like to have things blooming in my yard as much as I can. 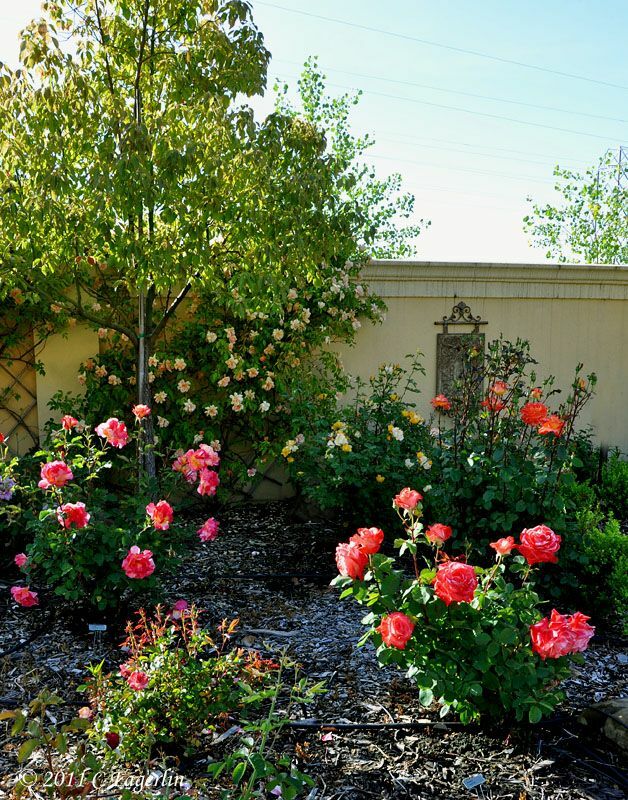 I have planted many blooming trees and perennials, but have to admit roses intimidate me! thanks for letting me link up! really have enjoyed seeing all the wonderful gardens! Thanks for coming by the gardens ladies, I look forward to seeing all these gardens grow over the coming weeks. I really enjoy seeing the gardens from across different climate zones and how they all have similarities, as well as a variety of different species of plants. The ONLY product I use on my roses is Bayer's All In One - blue plastic bottle does 32 roses, apply every 6-8 weeks, runs $15-$19 a bottle. It's a miracle worker!!! Hey, thanks for sharing this article with us.